Brendan Rodgers extended his wonderful start to life in charge of the Foxes at the John Smith' Stadium. 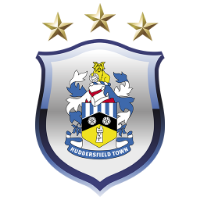 Huddersfield Town: Hamer; Smith, Schindler, Kongolo, Durm; Mooy, Hogg (Bacuna, min. 81), Stankovic (Mbenza, min. 45); Lowe, Pritchard (Mounie, min. 60), Grant. 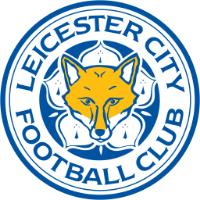 Leicester City: Schmeichel; Chilwell, Morgan, Soyuncu, Pereria; Ndidi (Choudhury, min. 87), Tielemans, Maddison; Barnes (Okazaki, min. 61), Gray, Vardy (Iheanacho, min. 90+3). SCORE: 0-1, min. 24, Tielemans. 0-2, min. 48, Vardy. 1-2, min. 52, Mooy. 1-3, min. 79, Maddison. 1-4, min. 84, Vardy. INCIDENTS: Premier League match between Huddersfield Town and Leicester City and the John Smith's Stadium. 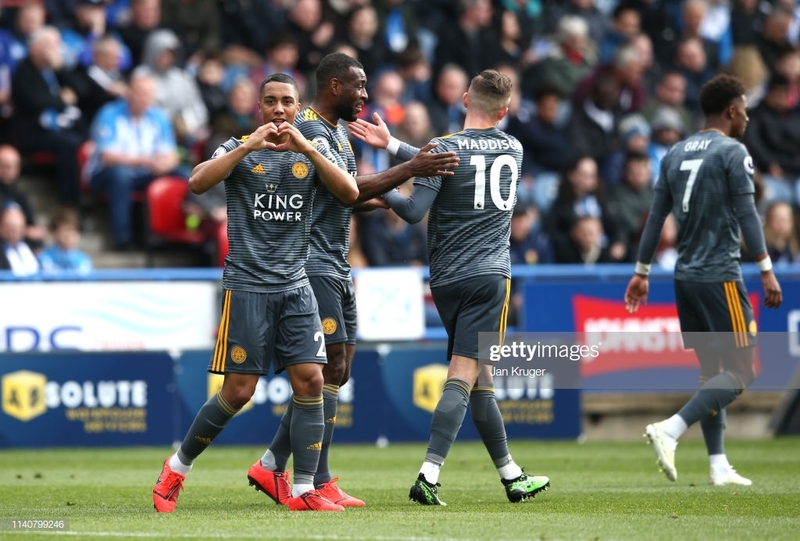 A brace from Jamie Vardy and goals from James Maddison and Youri Tielemans gave Leicester City all three points at the John Smith's Stadium against already relegated Huddersfield Town on Saturday afternoon. Aaron Mooy did pull a goal back in the second half but it wasn't enough to spark a comeback from the Terriers. The Terriers came out the traps flying and were putting pressure on the Leicester backline but, they were lacking a final killer pass in the opening stages. Leicester did grow into the game as time went on but similarly to Huddersfield, they struggled to find the pass to put Vardy through on goal. The first chance of the game fell to the visitors, as Harvey Barnes cut the ball back for Maddison, whose close range effort was superbly saved by Ben Hamer in the Huddersfield goal. Leicester took the lead in the 24th minute. A corner from the right was poorly dealt with and it fell to Tielemans just outside the box and he emphatically fired past Hamer. Huddersfield's first and best chance of the half came from Alex Pritchard. Karlan Grant tried to get in behind Wes Morgan but the defender got their first but it ended up at Pritchard's feet, who saw the keeper off his line and the midfielder attempted a chip but it was superbly turned behind by Caglar Soyuncu. Leicester had another great chance just before the break. Ben Chilwell broke through the Terriers defence and let of a fierce shot that went narrowly over the bar. This was then followed by an overload on the Huddersfield defence and Demarai Gray raced through but he was unable to find a way past Hamer. Huddersfield did come out with intent in the second half and they almost equalised straight away. A ball in from the right found Grant who met the cross, only for Kasper Schmeichel to pull off a magnificent save and then the Dane held Pritchard's follow up effort. Despite that, Leicester doubled their almost straight away. Ricardo Pereira broke down the right and whipped in a great low cross and Vardy calmly finished it off. Huddersfield were awarded a penalty just minutes later, as Grant was brought down by Soyuncu. Mooy sent Schmeichel the wrong and gave Town a chance to get something from the game. Huddersfield did pile on the pressure but were struggling to find a killer ball to unlock the Foxes defence. Substitute Steve Mounie almost equalised in the 69th minute. The Benin international picked it up at the top of the Foxes box and took it a little bit wider and let off a fierce shot that forced a superb save from Schmeichel. Leicester restored their two goal lead in the 79th minute through the superb James Madisson. The Foxes had a free-kick about 25-30 yards out and the former Norwich City man superbly got it up and over the wall and it flew past Hamer in goal. Leicester then got a penalty in the 85th minute, Vardy rounded Hamer and was then brought down by Terence Kongolo. Vardy dusted himself off and just about put it past Hamer who did get a hand on it. As a result, Leicester rise to seventh in the Premier League table with Huddersfield remaining bottom. Leicester have slowly put together a very impressive midfield unit. The loan signing of Tielemans in January and recalling Harvey Barnes are proving to be great pieces of business. Tielemans provides a real calming presence in the middle alongside Wilfred Ndidi. Barnes, Gray and Maddison are all very clever players, who can create a chance out of nothing. The Foxes have created a midfield with a great balance of strength and power alongside creative and skilful players. The only team outside the top six that can rival the Foxes' midfield is Wolves but it is a close contest. Since Brendan Rodgers took over from Claude Puel, Leicester have won four consecutive league games. He has improved the Foxes' style of play massively and has got them playing free flowing attacking football. There is also a great blend of youth and experience in the backline also which creates a tough nut to crack as well. The Foxes will be pushing Wolves all the way for a Europa League spot. Despite being relegated last week, no one can doubt Huddersfield's hunger and desire but what they do lack is a clinical striker. They did create themselves some good opportunities but struggled to make anything really count. Today marked only the Terriers' eighth goal in front of their own fans, which goes some way to explaining why they are in the situation they are in. If they do aim to make an immediate return to the Premier League next season, they will need to invest in a deadly front man as that is the vital thing they are missing at the moment. When Maddison moved to East Midlands from Norwich City, there were some who doubted his ability to make the transition from Championship to the Premier League, but he has definitely proved them wrong. In this game he was instrumental in Leicester's attacks and everything they were doing going forward. Maddison's trickery and ability on the ball is incredible and he got the goal from a free-kick that his performance definitely warranted. The Foxes could have a fight on their hands in the summer to keep hold of the young midfielder.